Yogi needs your help. We need your help. Please look. Yogi's streak might be broken by crating, YET, risking he won't trust the co owner/sister anymore. He might think "Why are you doing this to me? I didnt do anything wrong. I defended our grounds didn't I? " becaUse he's been doing it all along and no one among the owners seemed to disagree with him then why NOW? Why? I guess rehab for yogi requires a lot more time. But it is worth a try. It is up to the remaining owner to do it amd they got 3 short months so they have to choose wisely which . Mom and Dad clearly dont have time to be patient and subject themselves to a biting dog. Cam Atis wrote: No nose thumping or squirt bottle by anyone, Then consider Cesar Milan's techniques? Uhmm. Isn't that contradictory? Myogobear said he wouldn't go physical with Yogi coz of biting risk. Cesar Milan can try to turn around Yogi himself if he's available and if Yogi's case will guarantee media mileage for him perhaps he'd consider. but his tactics are HIS alone and shouldn't be employed by any dog owner who has dogs exhibiting aggressiveness. IF Cesar's way isn't executed with precision, the dogs) can get either traumatised and be shy or retaliate and attack the hand that feeds them. It can scar dog/owner relationship if not executed correctly and successful. I agree with Cesar's principles - actually it should be inborn with all authentic dog lovers. We can get physical with our dogs and make our own style (be it squirt bottle or a nose smack. cesar happens to be on TV but his ways are not universally recommendable to all. I admire his tenacity but also afraid for some unsuspecting dog owner who will try to imitate him. Cesar came into my mind for Yogi but only if he himself will take the case. If not, leave his techniques alone. I for myself, wouldn't tolerate food aggression. If my pup or dog after I set her food bowl and I got this habit to fix the food or just plain stick my fingers in the bowl to mix it more where her mouth is, and if ever would growl at me, i slap her mouth with my 4 fingers by using wrist movement only, I'll "growl" back and would go as far as taking her food bowl from her food and all. Then will "bark" at her. Then set food down and repeat my sticking my fingers in her food while she eats. My dogs used to be Dals , big fellows with attitudes. Hera was like that. i saw her food aggresiveness at 8wks. Princess also exhibits growling when she misbehaves, then I'd slap her slightly , she'd growl. But I dont tolerate. I dont back off. She is a bit learned now, being (adopted)for 2 months now. She's over a yr old a golden lab mix. I just make it a point with all my dogs that I can take from them whatever it is toy or food if I feel like it and they can do nothing about it (but I usually give it back to them after I verbally "bark" reprimand - somehow I am telling them Their food is theirs but they have no right telling me to back off So that when time Comes i got to be there for them when they are wounded or sick they know I am the one incharge. I have their respect and most of all, their trust. That I am there and they relaxed knowing I am there for them. While I don't really subscribe to everything he does, Cesar Milan makes a lot good points in the area of projecting your role as a leader. You have to command presence with him, its calm, assertive, and absolute leadership. The only part I want him to take from CM is projecting himself as a leader. I also used the noise he makes to break the thought stream when I want to get them to focus on me. myogibearm wrote: However, this is not an issue with separation anxiety because my sister (his second primary care giver) still lives at the house! This has nothing to do with me not being there. He has no reason to act the way he did with my mom two days ago while my sister was there. You keep saying your dog can't miss you because your sister is with him. I don't get it. When you are not there, of course your dog can miss you! He won't miss your sister, because she is still there, but he can miss you and he can act up because you are gone. I have been in your position, going off to university when there was a doggie to consider. I chose to attend a university close to home, because I loved my dog and my dog loved me. It would have broken her heart if she had only seen me every four months, so I had to make the unselfish decision to stay with her. Once we become dog owners, we're stuck with being dog owners. We have to make sacrifices for the creatures we adopted for life, their whole lives. Your father is a doctor, so you're probably not poor. Get an off-campus apartment, no matter how small & shabby, and get your dog to you. Fly home to pick him up yourself, or your sister can take him. It is clear that Yogi is extremely confused at the moment. He has no idea who is owner is, where his owner is, and what the future is going to hold for him. 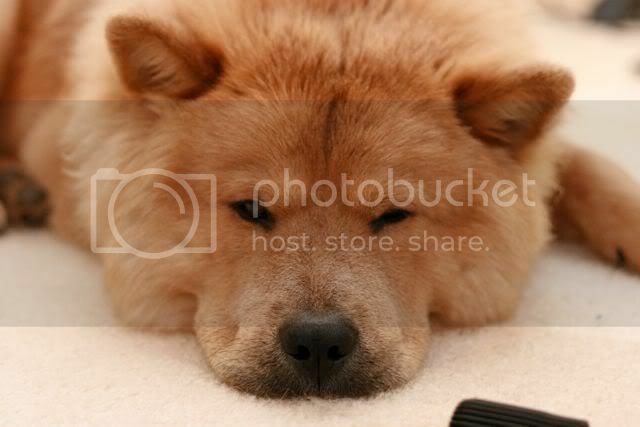 My Chow Loo couldn't live with my parents. It's me he loves. He likes my parents, but when I'm not around he has no use for them at all! He is uncomfortable with too many people around him, so I moved out with him. He prefers to be alone rather than be with people who aren't me. I think Yogi might feel the same way. Get him to you, if you can! 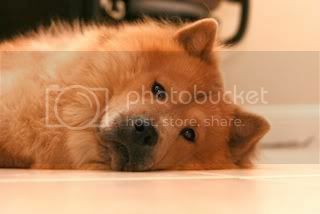 You can still live your life, Chows don't ask for a lot of attention, and Yogi could still stay alive. Why not share an apartment with your sister so that Yogi has a complete primary caregiver again? We really hope that we don't have to go down the road of euthanizing him. We're hopeful that we can break him of this, however my sister and I have made the decision that if we don't see improvement or feel comfortable leaving him with my parents, as sad as it makes us, we'll have to put him down. For his safety, and others around him. Lets not throw the baby out with the bathwater. Technically Yogi is not at fault, IMHO. 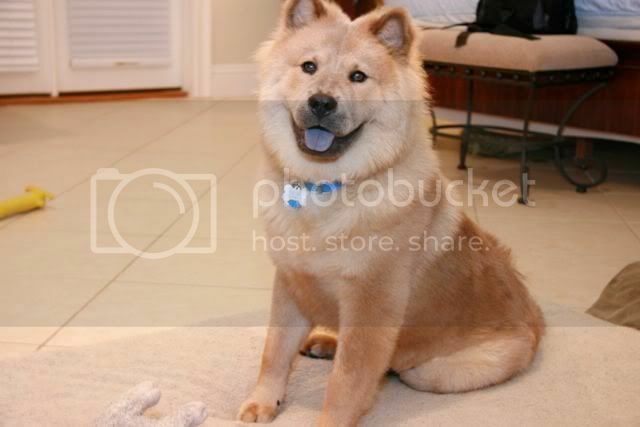 If your parents aren't going to step up and be the Alpha's that Yogi needs then re-home him. Post his picture here, give us your location, lets find a rescue or a new home for him. Another point is I read when he growls your mom gives him a treat? Stop that, b/c growling doesn't earn a treat. That's just re-inforcing the bad behavior. That is the kind of thing you, and your family has done to lead to this. I'm sorry if this sounds terse, but we have seen this very scenario over and over. Once upon a time years ago after living with my parents after college, I told them I was moving about 10 hours away. The first thing they said to me was "well, you're leaving Marshall (pictured in my avatar/sig) with us aren't you". This from the people who would never let me have a dog growing up. Within 2 months on me leaving they had a Chow mix of their own. Point being, don't give up on Yogi, this can be turned around easier than you think. You (and your family) have to get out of your own way. Try time outs, quit rewarding for bad behavior, learn NILIF. Other than that help us re-home him, I don't see how putting him down has anything to do with his safety. I totally agree. You, your sister and your parents either need to work with Yogi to establish his position in the family, with a trainer if necessary, or let him go to a home where he will get the training he needs to be a happy, well adjusted family member. Ursa's daddy wrote: I think TyChowgirl has a good point about the room vs a crate, and the fact that the room is Yogi's territory, which he seems to be defending. My two are defensive of the house, and when I moved here, Ursa was especially defensive. At night, she would challenge me if I did not speak up so that she knew who was coming in. In public, my two are not as defensive, since they do not have a territory to defend. As far as disciplining actions, I have always like a nice sharp clap or the sound of a rolled up newspaper against the palm of your hand. As far as getting physical, that has always been limited to the old squirt bottle, and that is typically used on the cats. Of course, a firm "NO" has to be included with the other actions. The question of eyesight is something that should be checked. It could be an issue. I wish I had something definitive to add, but I don't. Gook luck and keep us posted. Several have suggested using a crate. We have no problem utilizing this once more, however the problem is GETTING HIM INSIDE the crate. How do you propose getting a 3 year old dog who stopping living in a crate at 6 months old and has had the leisure of a large bedroom as his dwelling? Trying to push him inside a crate using force puts us at risk for getting bit. A lot have mentioned treats. A peculiar thing about Yogi is, he doesn't really care for treats. Honestly, theres really very little dog treats out there that really makes him drool. If anyone has suggestions of treats for dogs who don't "like treats," we're all ears. Sojourner11 wrote: You subject line starts with "Yogi needs your help"...when in fact Yogi needs YOUR help. He is yours and you are the Alpha male in the house. It doesn't sound like Yogi really knows that. And once they get a feel that the role is up for grabs you will have what you have right now. This isn't about love either, I'm sure you love him and he loves you but he really needs to know that what he is doing isn't going to be acceptable anymore. While I don't really subscribe to everything he does, Cesar Milan makes a lot good points in the area of projecting your role as a leader. You have to command presence with him, its calm, assertive, and absolute leadership. If your father is a Doctor, and you're studying to be one (sounds like) then how will you be in an ER one day with someones life hanging in the balance? Think of as good practice for the future. Next get him his own space away from traffic. A crate, igloo, wicker pet house from Skymall....something... where he won't be so startled by every little thing and has his own space. Put the opening where he isn't going to see everyone passing by. And IMHO, No nose thumping or water bottles, or threats of physical abuse by you are anybody else. Try a time out next time he acts up too, this worked wonders for me. And I agree that the NILIF (Nothing in Life is Free) method should start right away. There are threads here and on the web on the subject. No good luck either....MAKE IT HAPPEN! We have been implementing the NILIF method for all our dogs. Caesar, our GSD who passed away in '05 was also an Alpha which didn't last longer than 3 months. It was ankle biting, which stopped IMMEDIATELY. Yogi has been a learning experience for us. The food aggression first. Which we tried to break him of, but quite honestly the fear of getting bit on the arm, face or legs was too great simply trying to show him who's boss. Using a crate, we would love to do, but it's that initial introduction of having him get into the crate. This is a complicated situation. We're not just dealing with Yogi but my parents as well. Both parents are willing to work with Yogi, but my mom still has that fear put into her after Yogi's last attack. To remind you, she did not give him the treat as reward for attacking her. She handed him the treat, he took it, walked away, put it down, and then turned around and charged. There was no sign, no warning. He hadn't been acting up, he was calm and complacent. With my fathers schedule, the primary caretaker will be my mom during the day. You're right that she'll need to show him who's Alpha, but at what risk? I wish it were that easy. Where we go to school isn't exactly traveling on a plane like going to Germany or the United States. If this was even a remote possibility, we would have no issues and this problem wouldn't be nearly as stressful as it is. We simply CAN'T. Transportation to and from where we are is difficult, and even more so for animals. 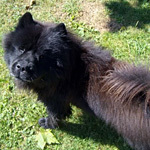 Proper veterinary care is poor, and Yogi's environment back at home is comfortable and relaxed. Even if we could magically transport him to us, his health would be at risk. Just so everyone can put a face on Yogi. He is so beautiful. I really hope you can get help or help him. As far as the crate, no dog goes into one comfortably at first and forcing is never a good idea. My Tiberius, was not a treat dog either. When I first started my training with him, the only thing I found he would do almost anything for was Cheese. Find what yogi likes, and stick with it. Offer it to him in the cage, put his food, his bed, his toys, anything that's his in it and leave the door open until he's not phased by it. Work on getting him in by throwing his favorite something in and saying "bed" or "crate". Have him sit in there and then work on closing the door, but feed him through the cage so he knows its a good thing. Look, whatever happens, won't happen over night. It's going to take a lot of work. And he reminds me so much of my boy, that if I could take him off of your hands I would and work with him. He doesn't look malicious, he just looks like he rules the roost, and has a bit of an attitude (though what Chow doesn't?). He just needs you to become the Alpha and flip the responsibility on the humans so he doesn't have to. And with his track record, no I do not recommend physical anything with this dog. This is a mental game, not a physical one as it is with most chows. They won't respect you if you force them, but if you make it their idea that's a whole different story. He is a looker for sure. I see a Warrior-Poet who needs some help understanding his place in the house with his new Alphas while you are away. 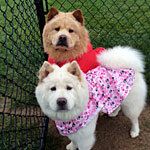 Have them learn his game, master him, and he'll be the better Chow for it. And when they do, who knows, they might not wan't to give him up when you return. I wouldn't be lying if I said your parents house is safe from all intruders and ill meaning folk. Sojourner11 wrote: He is a looker for sure. I see a Warrior-Poet who needs some help understanding his place in the house with his new Alphas while you are away. Have them learn his game, master him, and he'll be the better Chow for it. And when they do, who knows, they might not wan't to give him up when you return. Nice to see/hear from you again. You are right, he is a beautiful boy. Hi Victory, good to see you too. Just afk for a while... 2009, 10, 11 were ultra busy for me,(drove 120K mi) but only an PM away if needed. I was thinking that we have heard about Yogi's negative issues, but I'd like to hear more about his positive attributes. That would help to paint a better overall portrait of Yogi in order to better assist you and your family. He is beautiful. Hopefully you can make things work out. You mention that you have been afraid to deal with some of his food aggression for fear of him biting you and that your mother is afraid after being bitten. This is understandable but you are going to have to try to not show this fear to Yogi (easier said than done I know), dogs are very good at sensing fear and will not look to you as the leader if you are showing that you are afraid. He's a super sweet guy who's calm and complacent with my sister and I. He has a keen sense of hearing and barks when he hears cars at the front of my parent's property 300-400 feet away. I really think that with the right training he can be the best family dog, it's just a matter of reaching that point. And how is he with other dogs? I have to make this post somewhat short (pressed for time right now).... sorry it won't be too detailed. Yogi is a classic "Resource Guarder". If you have not done so already, I suggest you read the book Mine! by Jean Donaldson. It's an easy read. Your entire family should read it too. Especially your mom (see below)! First, your MOM should now be Yogi's primary. She should be the one to crate train him. She should be Yogi's go to person since she will be his constant for his remaining 10 years. You and your sister have med school, residency, externships and possible specialty training in your future. What's that 5+ years. She'll be okay. Knowledge is power. Once she reads up, she'll gain the confidence to raise Yogi to be a good citizen. The book is a good start. Second, he sounds like he's overstressed and his skitshness comes out. Try adding a few drops of Bach's Rescue Remedy in his water each day. It should take some of the edge off without changing his personality (making him drugged out). My boy Tiggy takes a supplement I get from the pet store by the name of Comfort Time. I had him on Rescue Remedy but our houseguest like to drink from his bowl. She was already a very chill chowgal. So I switched him to Comfort Time, one tablet a day. Third, he needs to be crated again. It's his place/den/safety zone. It's where he can receive "consequences". If he's bad, he goes to his crate and take a 5 minute time out. If he's good, he gets a treat and takes it to his crate to eat. I use the wire crate because they can see through it. If he doesn't like treats, like TYchowgirl wrote, find something he does like that won't cause a hot spot on his skin - maybe cheese, bits of hot dog or bologna. I find the stinkier the food/treat, the more they desire it. I would not throw it in to lure him in. I'd make him work for it (i.e. go towards the crate and inside then the reward - food and praise - lots of praise). TYchowgirl's crating posts have alot of good info on the how to. Finally, have your Mom practice alot of different vocal intonations on Yogi. Not a few but alot! 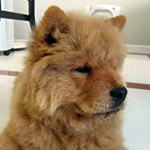 I've found chows respond extremely well to the tone and timber of one's voice. From a simple whisper to being yelled at full on, they just seem to get it. So have her give it a try. Finally, have your Mom practice a lot of different vocal intonations on Yogi. Not a few but a lot! 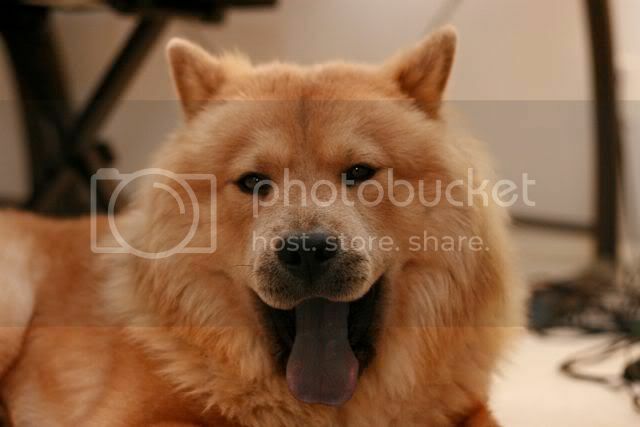 I've found chows respond extremely well to the tone and timber of one's voice. From a simple whisper to being yelled at full on, they just seem to get it. So have her give it a try. This is an excellent suggestion. 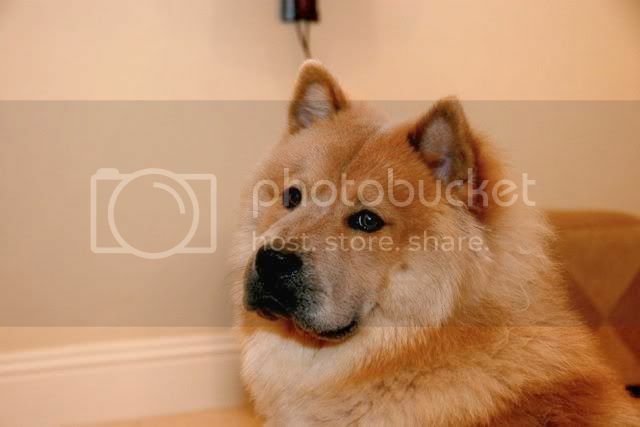 Dogs themselves are limited in their vocalization. Much of what they "say" is conveyed in the tone and timber of the sound(bark, whine etc). 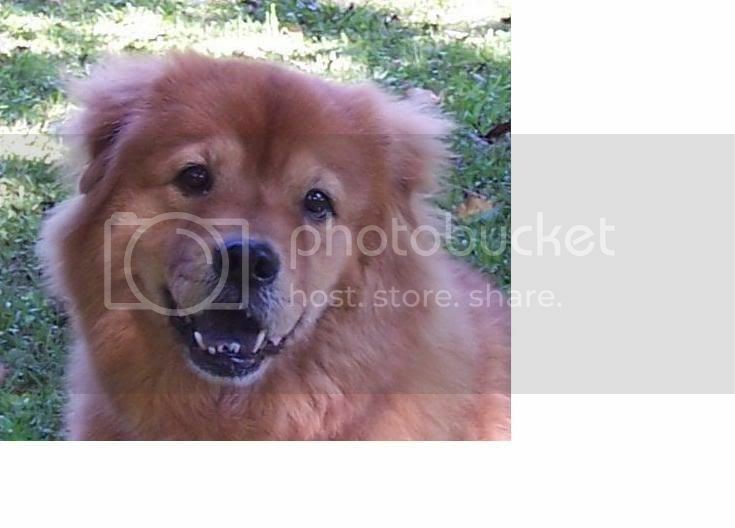 My observation has been that these qualities have meaning to dogs, and are an important part of communicating your desires to the dog. Exactly right! YOu gotta "bark" (shown with differing intonation of your voice) It can be a series two words. Dogs respond well by the way we forcefully speak (our dialect of course - not mock growl) or gentle soothing words. But these words MUST BE spoken exactly EVERYTIME (intonation and word sequence) so the dog associate the SOUND to things you want. For my self, I use maximum of 3 syllable commands. and YOUR MOM needs practice. Consistency in voice intonation is a must, as well as standing tall - DONT LET YOUR MOM STOOP DOWN when she is verbally correcting and while during the times she is showing Yogi SHE'S BOSS now. Stooping is seen as "play" or sometimes "challenge" - it can be misinterpreted by Yogi - of course , common sense will come in , if the situation really would call that she has to sit beside Yogi - like coaxing him into the crate. SIT but don't stoop. I am just wondering... to all chowguys and chowgals, : WHAT IF YOGI WILL RESIST the crate? Scenario would be: Mom holding Yogi's collar and then pulling him to the crate's door, then Yogi will resist and if Mom is still insisting, HE WILL GROWL at her to warn her? (If he'll growl - I read he doesnt give any warning signs - will just bite and teach the offending member she got no right telling him what to do) WHAT WOULD BE YOU DO? a suggestion said don't throw the treat inside - I visualise, MOM holds the treat (BACON! yumyum!) and stick her entire arm inside the crate so Yogi will come inside the crate. Then when he's in he can have the treat plus 1 more) Wham! closes the crate gate. Then praise. Good boy! Plus a bonus treat. NOW What if YOGI will not come inside the crate? And do as above? Are there any alternative? Gentle alternatives. Sorry. No answer to your "What if's" - with all due respect, no time to go into detail for a "what if". They are also hiring a trainer who can assist reintroducing the crate in real time. 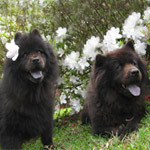 Chows have amazing memories. As long as his experience with being crated at home was positive, reintroducing the crate into his day to day shouldn't be too difficult. However, to address your scenerio, you should know as well as I that holding the collar, pulling him into the crate and RUSHING this process in that manner is a recipe for disaster. The crate isn't to punish Yogi. 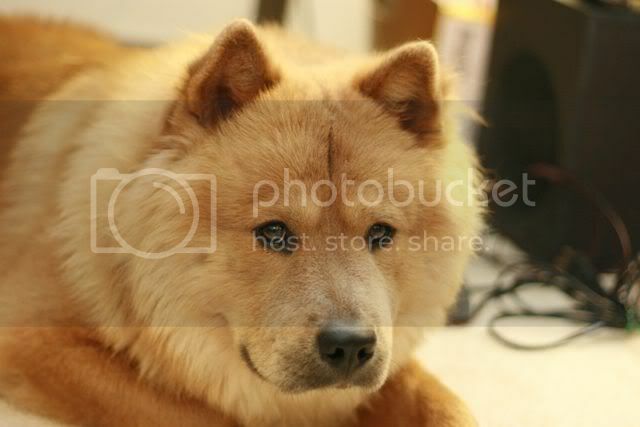 He's not a feral chow and he's been crated as a puppy. Like I said, it's a safety zone for HIM! Cam Atis wrote: IWHAT WOULD BE YOU DO? a suggestion said don't throw the treat inside - I visualise, MOM holds the treat (BACON! yumyum!) and stick her entire arm inside the crate so Yogi will come inside the crate. Then when he's in he can have the treat plus 1 more) Wham! closes the crate gate. Then praise. Good boy! Plus a bonus treat. NOW What if YOGI will not come inside the crate? And do as above? Are there any alternative? Gentle alternatives. The act of throwing food (treats) is aggressive. Cause and Effect, you throw a premium item to a resource guarder, common sense dictates it will respond back equally aggressive (reactionary action = reactionary response). Counterconditioning is what you are trying to achieve, as well as building confidence and desensitization. Not to simply be able to get Yogi in the crate and close its gate. It's important he works for the premium treat (and praise) calmly and with forethought and not get rewarded for FREE (NILF). Cam Atis wrote: NOW What if YOGI will not come inside the crate? And do as above? Are there any alternative? Gentle alternatives. Again, a "what if"... Desensitizing is a gradual process. Build up getting close to the open crate by starting the process outside of it. Nice reply Zhuyos, saved me from not being quite so diplomatic. I did not think my ideas or suggestions were fool proof at all, but the idea here is, you have to be creative with special cases. The idea is to think outside the box whilst bringing back good habits or creating new good habits. When you have a territorial dog, it's not going to be overnight or easy, it'll take a lot of time, patience, and some risks. And honestly, having the mom step in from now on with the training was something I didn't think about, but it's spot on. And NEVER force a dog into a crate. It makes it a bad memory and associates it with negative. Throwing treats in and then quicky shutting the door is a bad plan too, because now you're being sneaky and forceful without touching. It's gotta be a positive thing and his idea to walk into that crate. As for mom, she must not show her fear or be nervous above all else because that will throw the mood off entirely. I know that's hard and frustrating when having a risky biter on hand. The trainer will be able to help both dog and persons gain confidence back; the owner confident she/he has control and a more balanced dog, the dog confident that his owner is provider and protector and has taken on the role of alpha so he doesn't have to. That's what we're aiming for so that both parties are happy and there's no more biting. 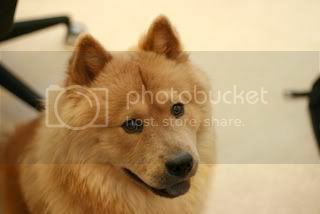 I can tell you my first encounter with a chow, which was one reason I was reluctant to consider getting one at first before I did additional research. My fiance was my boyfriend of a year or two at the time. 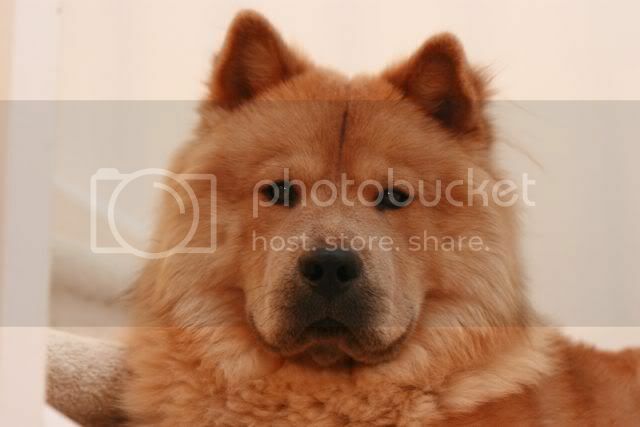 He had a chow growing up, but they didn't raise it. They got him at about five and because he nipped at everyone, but my fiance and his mom they made him an outside only dog which was not something I agreed with because they got a beagle who got run of the house shortly after I started dating him, but I digress, I was warned. Every person he's ever met he's nipped or bitten (not sure about drawing blood much. His uncle and korean aunt originally owned him and she got frustrated with him all the time "Why you no listen?!" and needless to say their relationship wasn't the greatest. He wasn't a good walker either)But, being the dog lover I was I walked right up to him (stupid right?) while he was clearly in guard mode, stuck out the back of my hand to his nose and let him sniff. Then I told him to sit and just like that he did. I had never met him before, but he listened to me and then I went on to petting him about the time my fiance came up, squatted down, and we both gave him the attention he clearly lacked. The issue Spike had was letting people walk away. When they turned their back, that's when he bit. Never did I have any issues with Spike. I even brought him treats on the rare occassion I was there before he crossed the rainbow bridge from old age (my fiance was in the Navy at the time, and me in Highschool so I didn't see him or his family much at first). I had confidence and no fear when I met him. I'm convinced that's why I was able to get on with him so well. I'm hoping you guys can develop the same around sweet Yogi. It's scary when you have been the one bitten, but oh ye a little hope. Patience, practice, rewarding at the appropriate time, and taking control by making him work for everything should help eventually. Just don't over do it and end on a positive note always. They get bored fast and then get cranky. Everyone has different ideas, but our end goal is the same. Glean what you think is the best advice in your situation and put it into action, or even try out a couple just try not to send conflicting messages because that's where confusion happens. Let's hope Yogi becomes a happy and trustworthy boy again. How are things going with Yogi? You were talking about maybe putting him down. Before you do that, consider that Yogi may not react the same in another household if there is a strong but loving alpha leadership from the beginning. 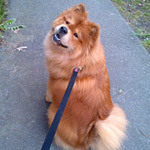 I think your family should work with Yogi and hopefully it will work, but if you decide it won't, consider finding (or having a rescue help you find) a strong chow experienced owner that knows how to establish themselves as being the alpha from the moment he walks in the door. The right owner can do that and still love and cherish him - he may be a very different dog in a new environment. A new envirnoment could be a fresh, positive start for Yogi. This is kind of reiterating what Sojourner said, but I think it's worth saying again. Yogi is a beautiful dog and I think he's just confused. Yeah, what's up with Yogi? Hope all is well. Though his eyes looked sinister, but he is still beautiful in all photos.